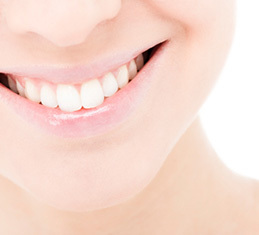 Professional tooth whitening can create beautiful, dazzling smiles. Teeth discolored by stains caused by aging, by various foods and beverages including coffee, tea, colas, and red wine, by tobacco use, use of certain medications, injury, or by chemical damage, can often be made bright and sparkling again. Prestige Dentistry in the East Lake, Trinity and Palm Harbor area uses several teeth whitening options including the revolutionary light-activated Zoom Whitening system. Zoom! is great for business people and those with active lifestyles who want brilliant, more confident smiles in just one visit. The Zoom whitening procedure eliminates the need for daily applications of teeth whitening gels or strips, or bleaching over a prolonged period of time. Teeth whitened by Drs. Horwitz, Beil or Pielak, using the Zoom teeth whitening gel and a special light, typically become at least six to ten shades whiter within 60-90 minutes. Studies have shown that dentist-supervised Zoom Whitening is not only fast – it’s safe and effective. A five-minute fluoride treatment completes the procedure. In most cases, teeth will get even whiter over the first few days after the teeth whitening procedure. Teeth which have been whitened by the Zoom! 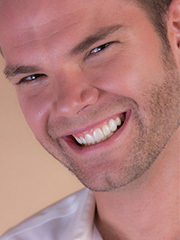 professional tooth whitening process will continue to look their best with routine brushing twice a day, and flossing. Touchups and maintenance may be done if additional discoloration occurs. (Zoom! teeth whitening has been featured on ABC’s Extreme Makeovers). To learn more about professional tooth whitening and the teeth whitening options available at Prestige Dentistry, including KöR Whitening, contact our Palm Harbor or Trinity office today by calling the number above or simply by filling out the form on this page. Add sparkle to your smile today with professional tooth whitening at Prestige Dentistry!